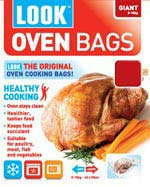 Look oven cooking bags are suitable for use in a conventional oven as well as microwaves and freezers. 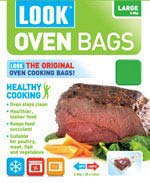 Look oven bags are ideal for cooking meat, fish, poultry and vegetables in a healthy tastier way, keeping food moist and succulent whilst keeping the oven clean. 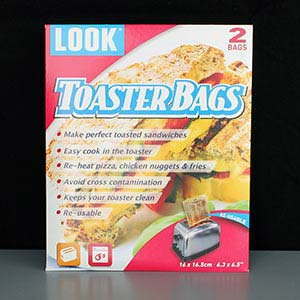 Preheat oven to required temperature. 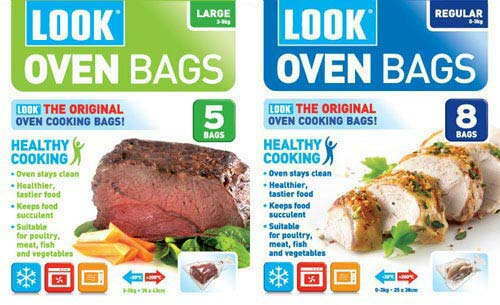 Season food and place in bag. Close with special tie leaving plenty of air inside to assist browning. 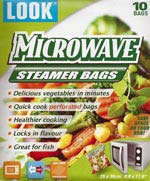 Snip off top corner of bag to allow steam to escape. 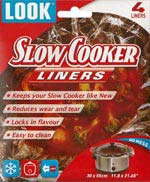 Place in deep roasting dish and cook in centre of oven. 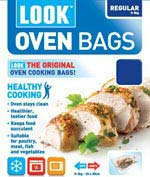 Bags must not touch oven walls, racks or heating element. 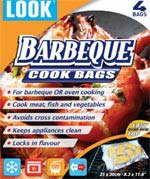 When cooked, cut bag open and remove food - use juices to make delicious sauce or gravy.